Under 17 East Begin Training – Recruiting Now! 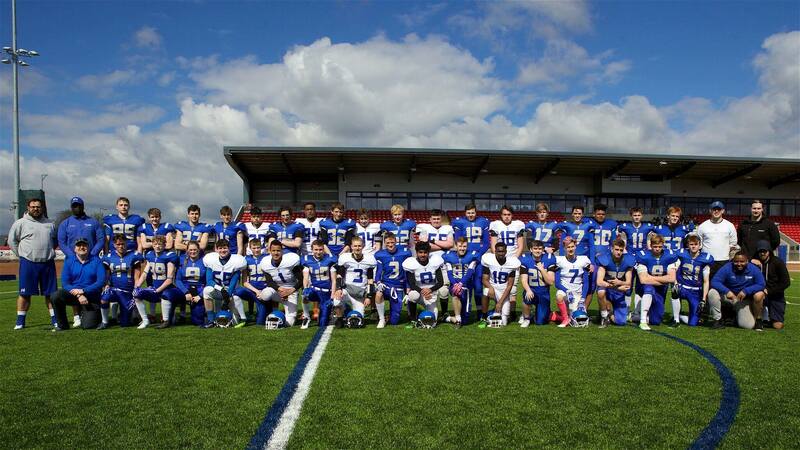 More good news for American Football in Greater Manchester, as the Manchester Titans kick start another Under 17 squad. This latest development comes after the Titans secured funding from Greater Sport. The Manchester Titans Under 17s East Team began training last Sunday 17th June at Crossley playing fields, Rochester Way, Chadderton (OL9 9BQ). The team will be training from 10:00 – 12:00 and it’s open to anybody age 12 to 16 years of age. This venture was set up in order to reach young people and young athletes who would love to get involved with the game but currently live out of current areas provided. This team will cater for the East of Manchester with predominantly players coming from; Oldham, Chadderton, Saddleworth, Moorside, Shaw and Springhead. With interest already coming from Blue Coat School and Saddleworth School. The Coaching Team boast experience and pedigree, with players from the Titans Premiership Adult team and local Oldham based Youth and Women’s coaches to create a dynamic group for this new venture.